ADT has been ranked the #1 provider of home security systems in the United States for a long time, but for some consumers their business model just isn’t what they need. 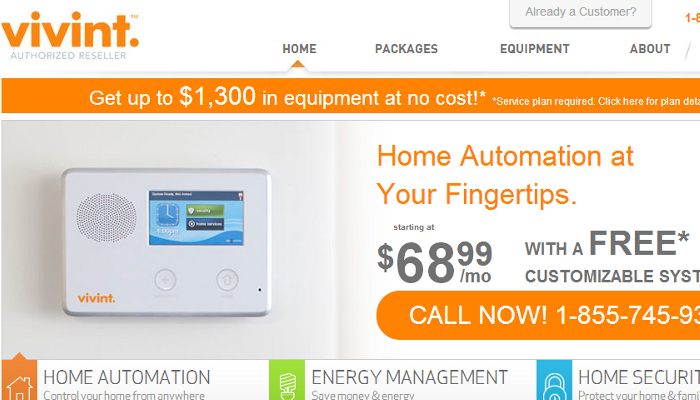 Homeowners don’t actually own the equipment in an ADT system, they rent it, and with a 3 year contract that automatically renews, it’s easy to get stuck in a high cost monitoring plan. 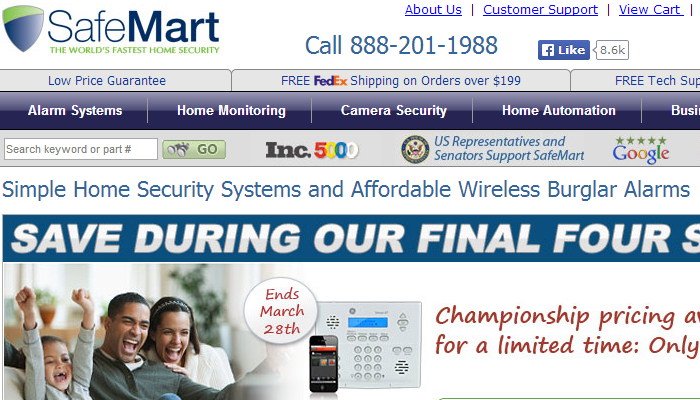 There are several good competitors offering their services to the home security market right now that have some advantages for some customers. Let’s take a look at them right now! Rather than have a technician come out to install your security system, you put up the FrontPoint security system on your own. It takes just about 30 minutes to do it and you get the same kind of equipment to protect your home as you would with ADT. 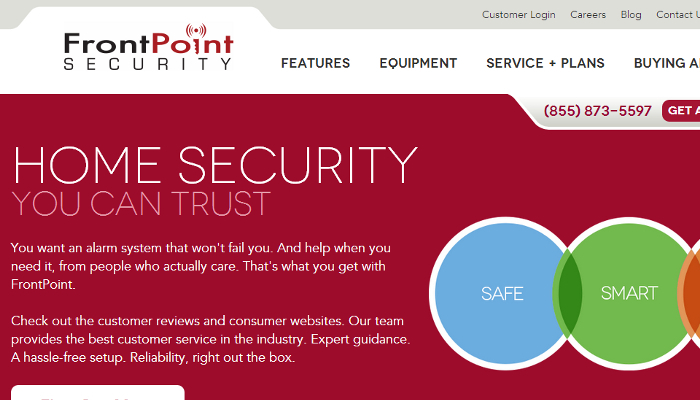 The advantage that you get here is that the equipment with FrontPoint also works with the Alarm.com home security app, which means you can control your security system and home automation, if you’ve chosen to install that as well, from wherever you happen to be. It’s also the only system that can detect a natural gas link. Vivant offers a similar package of home security equipment and monitoring services as ADT and FrontPoint, but instead of forcing you into a specific pricing plan, Vivant gives you a direct quote based on your needs. As an advantage, you get more home automation features through a Vivant system than you do with most of the other competitors, giving you the chance to better protect your home. If you need a customized home security system instead of a cookie cutter system, then SafeMart is the home security provider that can help meet your needs. You build your system from the ground up with this provider and best of all, the basic monitoring price for your new system is just $9.95. You also can create customizable alerts from the equipment that you install and because the equipment can all communicate independently and wirelessly, it’s almost virtually impossible to defeat the custom security system you’re designing. With a limited lifetime warranty, you have a little more protection with defects in your security equipment with a Monitronics system than with other competitive systems. It also syncs up with an app like FrontPoint’s security system, giving you more mobile access with your security system on even a basic system. 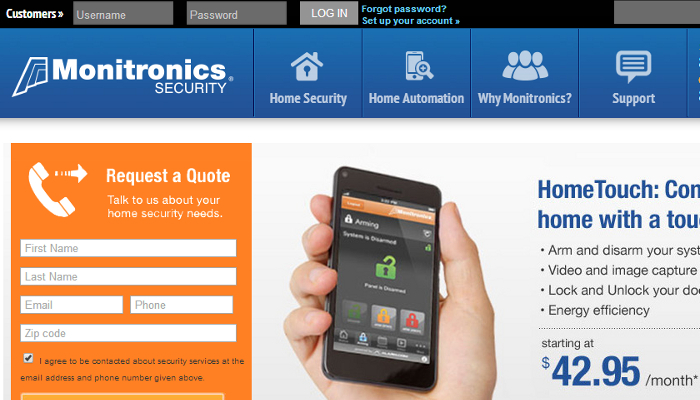 The other features and pricing structure are similar to the rest of the providers in the market, so if you don’t want ADT but do want a organization to come help you with your system, then this home security provider might be the way to go. 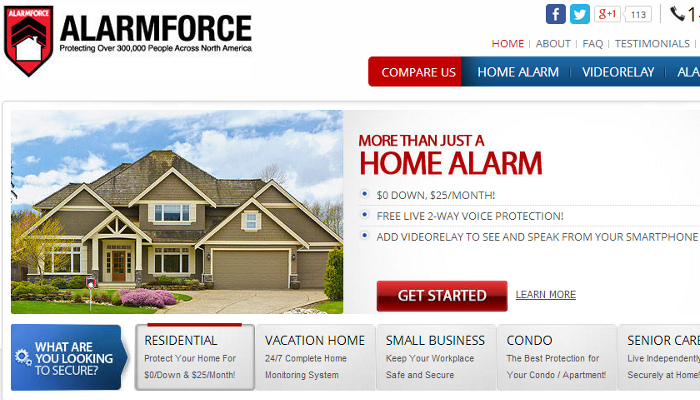 If you’re on the East Coast of the US or in Canada, then you also have an option with Alarm Force. It is the only major home security provider that has a video two-way communication device that can be installed with the system and let you interact with people outside your home. It’s priced competitively for those who have access to this provider.